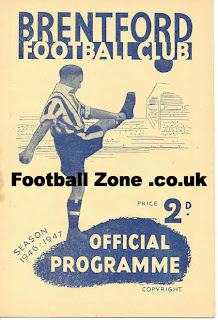 Proof that I still have a copy of the programme from my first Brentford game. 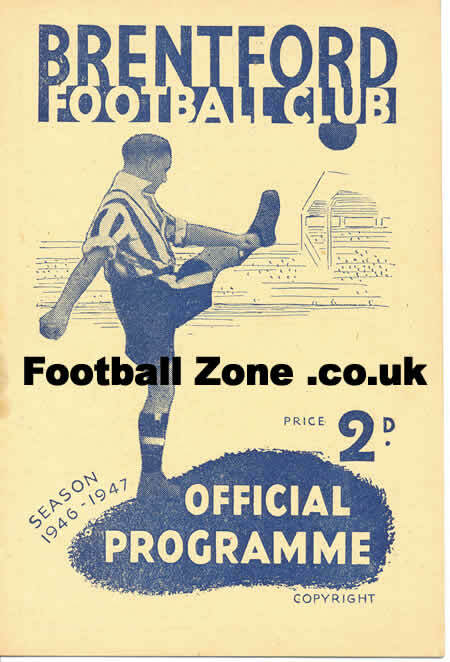 I'm guessing the price of the programme has changed but has colour reached wast London yet ? I'm endebted to Nelson from the excellent Views from an Iberian Valley blog for enlighteing me that our last win at Griffin Park was in 1980. I was there for that one and recall it as an important win during that promotion season. One always went into games with a feeling of optimism with Walsh and Elliott in the team. I'll be there again today for one of my few away games this season. Aside from thinking you'd be hard pushed to keep track of the game given the saturation coverage of the Ryder Cup ( is the entire staff of BBC sport plus Nicky Campbell there I wonder ? ) the lure of a ground with a pub in each corner has proved too much ! If they lads can match the level of effort they showed on Tuesday and add some better passing and crossing then this a game we really ought to win. I never make predictions as they can backfire and make one look silly so...............I'm going to say 2-1 to us today.